* The light - All the bedroom crystal pendant light, bedroom table light, bedroom wall light, and the bedroom floor light should be warm light. The soft light source is cosy for rest. 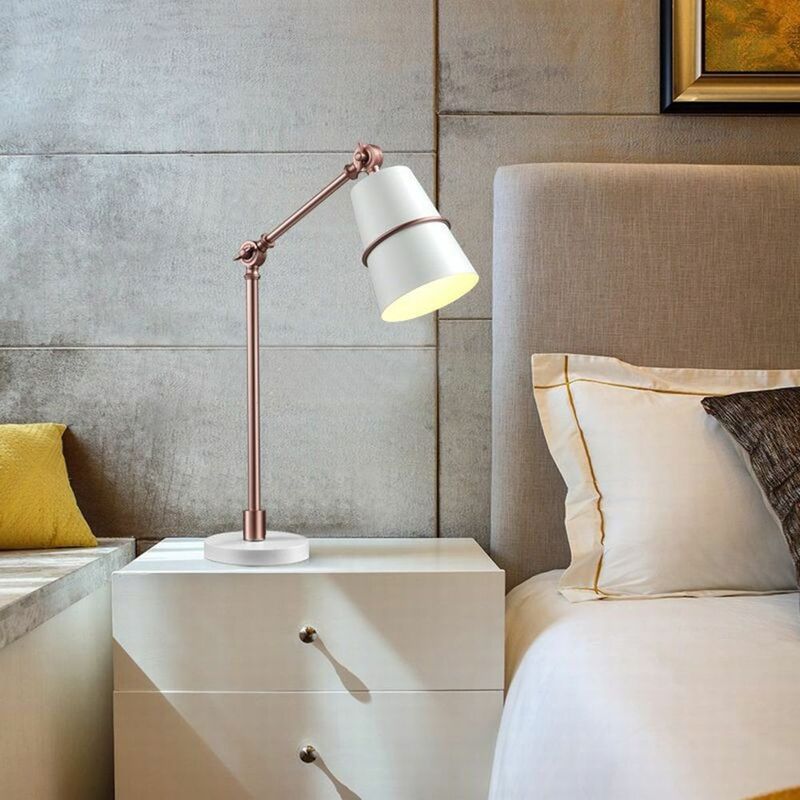 * The color - Not only the light source, but also the lampshade of the bedroom modern pendant light, floor light, and desk light should not be too colorful. 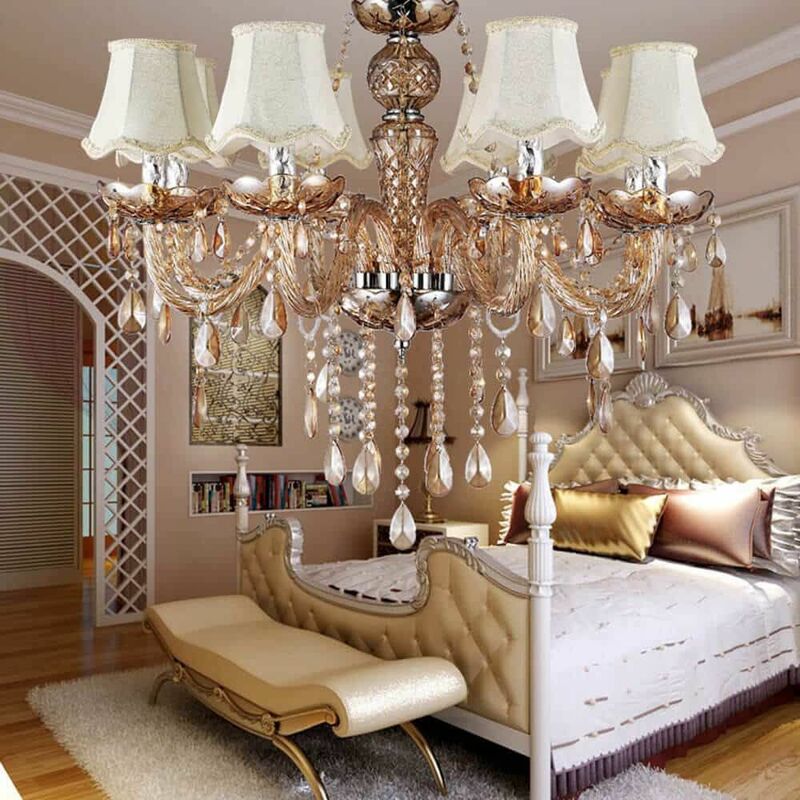 * The height - The bedroom floor height is 2.6m-3.5m, the crystal pendant light height is more suitable between 500-600mm. The bottom of the pendant chandelier is 2.2-3.0m from the ground. Of course, this detail must be decided by the actual situation of your bedroom. Your head can not reach the bedroom pendant light when you stand on the bed is the best. 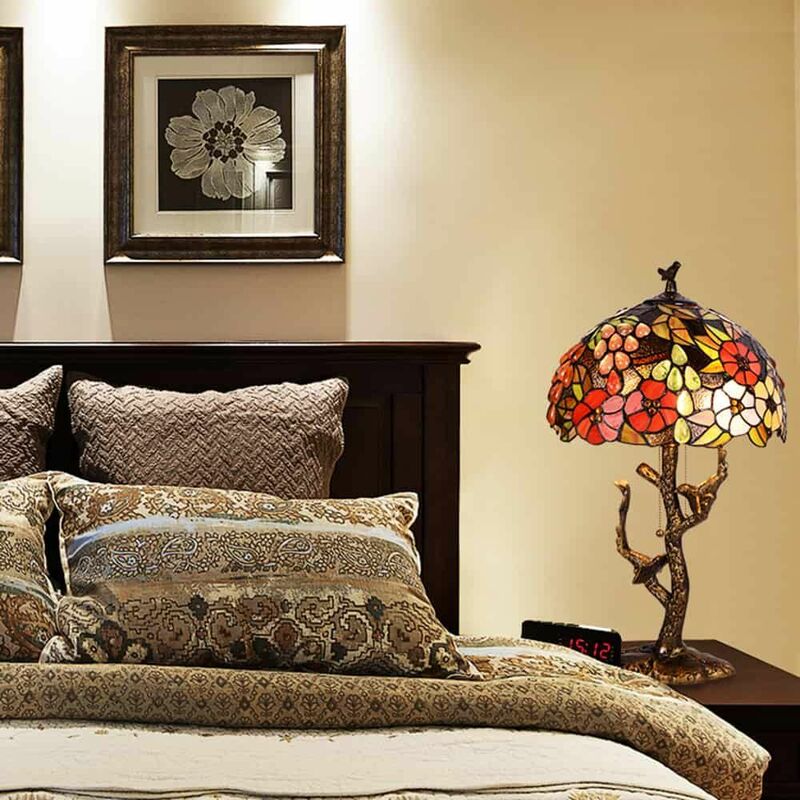 * The lampshade - No matter the bedroom crystal pendant light, bedside table light, and the bedroom nightstand light, the bedroom lampshade should not be hyperbolic or strange. The cloth lampshade table light, Tiffany table light are recommended. * The children bedroom pendant light should be hanged with a high height. * The movable floor light, spotlight, and crystal table light are not suitable for children bedroom. * The children bedroom pendant light and table light should be dimmable. 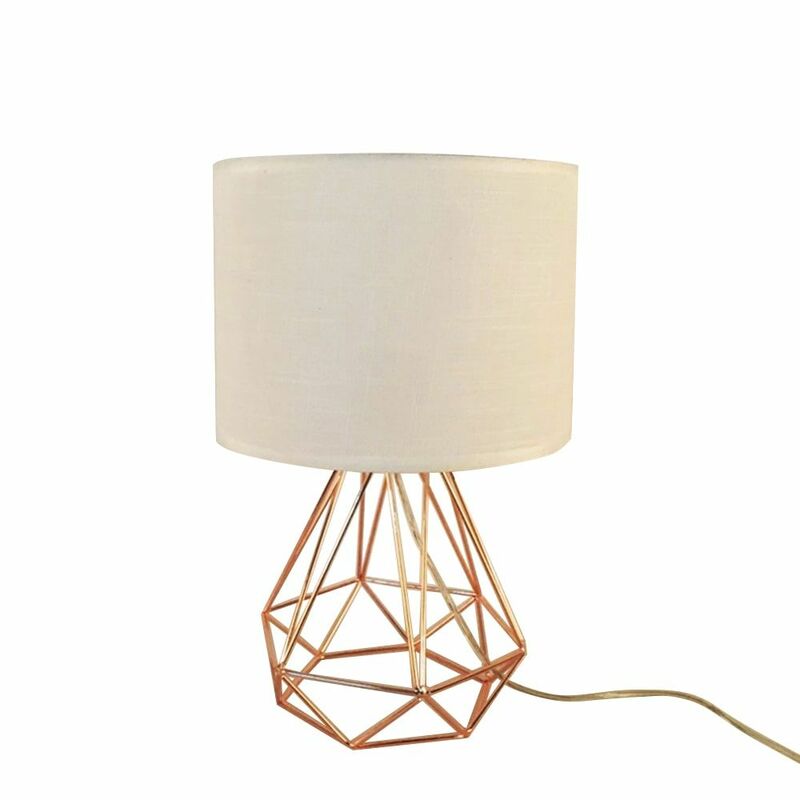 It is safer to add frosted lampshades or other hoods to the pendant light and table light. 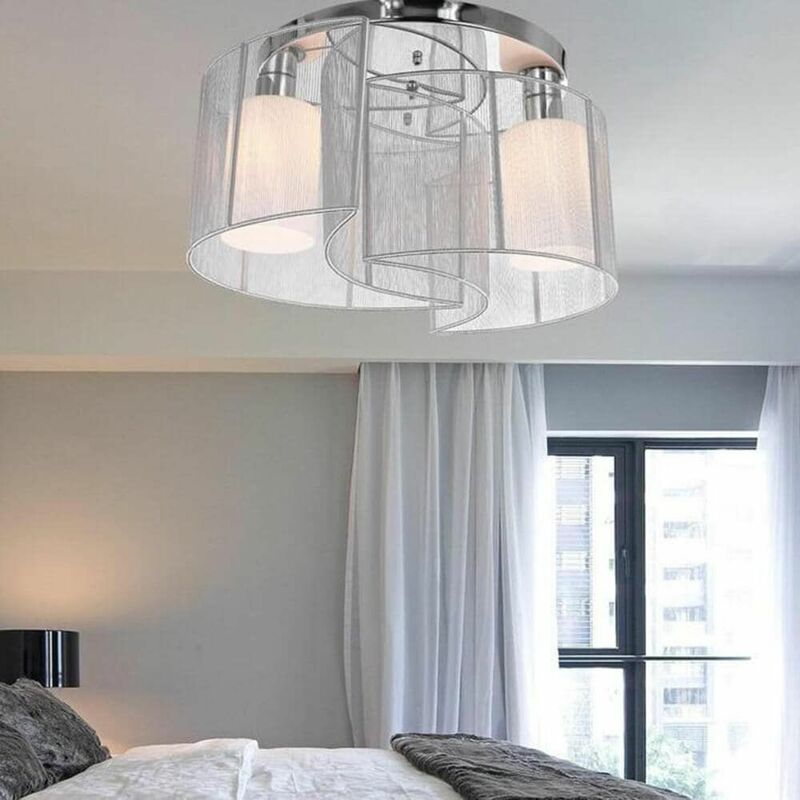 * If the bedroom is large enough, you can choose a luxury crystal pendant light. 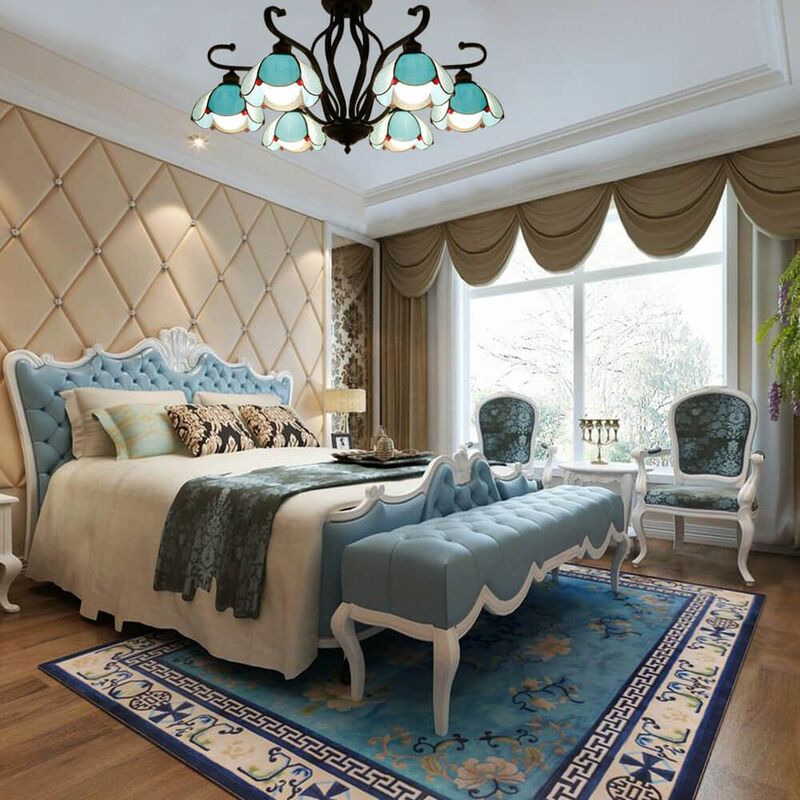 If the bedroom is small and the height is not high, choose the mini crystal pendant light or round ceiling light. * Choose the bedroom pendant light, wall light, floor light and table light be consistent with the style of the bedroom decoration. 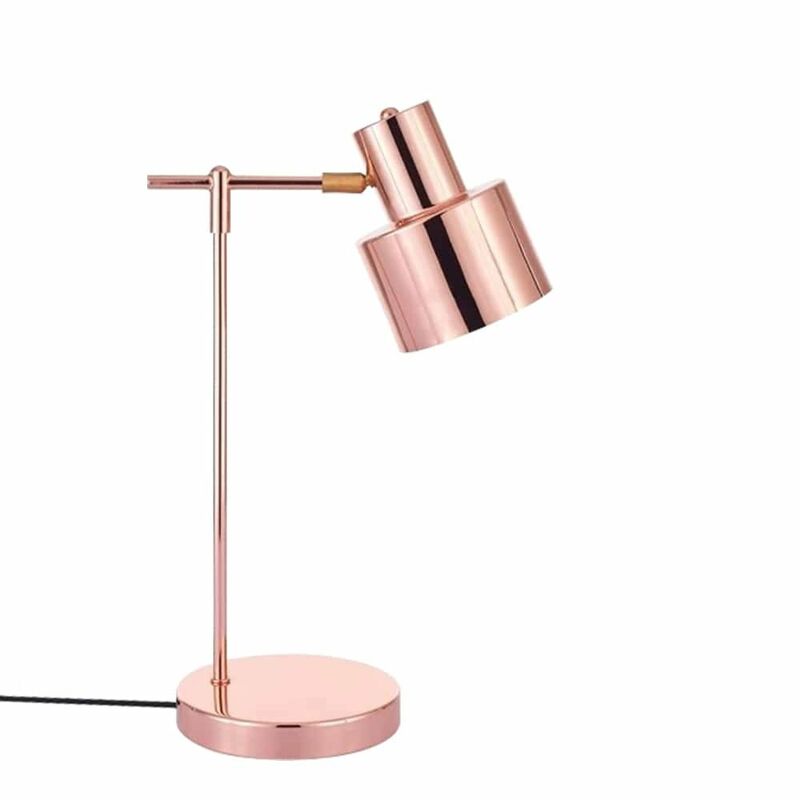 A rose gold table light is suitable for a modern bedroom, a Tiffany table lamp can be a helper for a vintage style bedroom. * A simple industrial pendant light can be adopted to the Nordic style bedroom or the children bedroom.